Can I Spray Paint My Cooktop Grate? If you have a gas grill or stove, over time the grates and cooking surfaces can become charred and discolored. 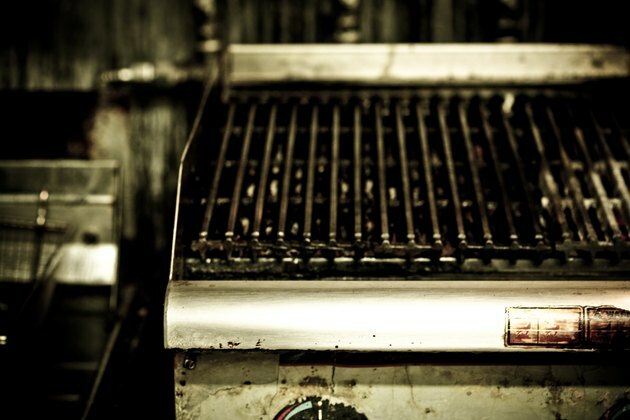 While the rest of your grill may still be in good working condition, grates that are rusty can cause complications when grilling or cooking. One option to improve the appearance is to spray paint your cooktop grate. Be sure to only choose paint that is acceptable for cooking surfaces and take proper precautions. Grates can be painted if the right materials are used. Most stove paints are made from heat-resistant silicone coating. This type of coating withstands high-heat temperatures and resists flaking, peeling and blistering. When choosing the right type of paint for your cooktop grate, select a paint that is heat resistant. Stove paint comes in an aerosol spray, and also in a quart-size jar that can be hand painted. It is important to select stove paint as opposed to traditional spray paint, because traditional paint may drip or come off when exposed to heat. Stove paint assures that your cooking surface will remain safe while preparing food. 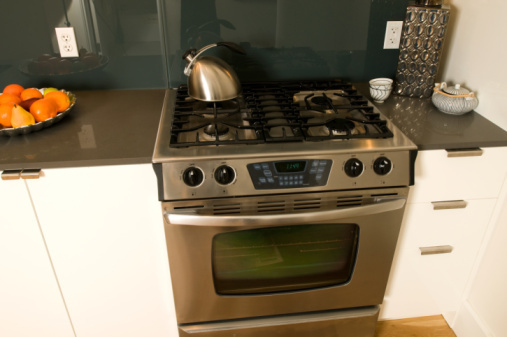 The biggest benefit of using stove paint on your cooktop grate is to create a renewed surface. It can be challenging to cook or grill when pieces of the grate are chipping away. Some of the chipped surface can get on your food or stick to the cookware you are using. A renewed and protective surface not only makes the cooktop grate safer to cook on, but it also improves the appearance. When spray painting your cooktop grate, ensure that the heating source is shut off. Failure could result in the flammable spray can exploding. Make sure the paint you're using is nontoxic. In some cases, the chemicals found in spray paint can be harmful when inhaled or ingested. If you are cooking on a newly painted surface, there is a risk that your food could come in contact with the paint, especially if grilling directly on the cooktop grate. Follow the instructions for your nontoxic paint and allow plenty of time for it to dry. Consider choosing all-natural alternatives to spray painting your cooktop grate. This is beneficial because you're not coming in contact with chemicals, and you will eliminate your risk of inhaling the fumes or ingesting the paint. Scrape the surface of the grate to remove excess char, rust, paint and baked-on food. Create a homemade eco-friendly substitution that includes baking soda, sodium carbonate decahydrate or white vinegar. Scrub, rinse and allow to dry completely.